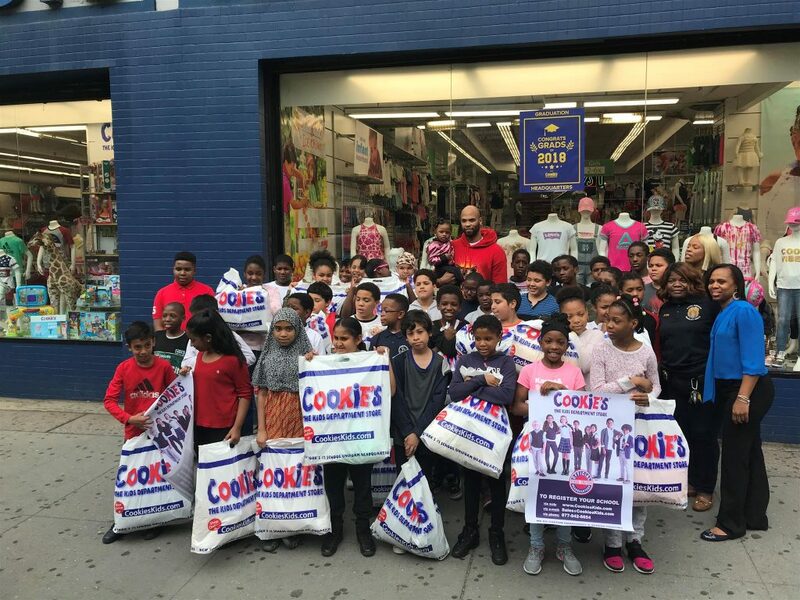 Though he now plays for the Minnesota Timberwolves, Taj Gibson is a Brooklynite at heart, as shown by his surprise shopping spree on June 13 with a group of local elementary school students at Cookie’s Department Store in downtown Brooklyn. The NBA star wanted to congratulate the students from PS 67 and treated 40 starstruck fifth-graders to new outfits for their upcoming graduation. “I grew up at Cookie’s. 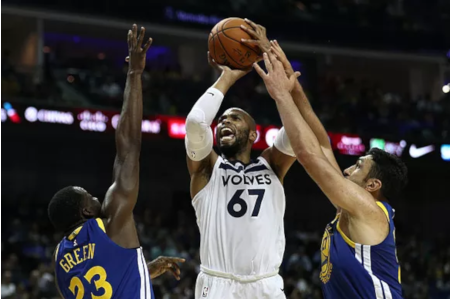 Growing up in Fort Greene, we were always shopping at Cookie’s, so I had to bring them here,” the 32-year-old power forward said while recalling his time at Charles A. Dorsey Elementary, which inspired his jersey number (he wears 67). Gibson (center), Ms. Jackson (far right, in blue), and the students of PS 67. 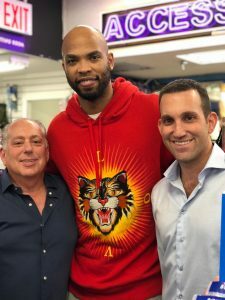 Minnesota Timeberwolves star Taj Gibson with Cookie’s co-owner Marvin Falack (L), and his son Vice President Al Falack (R).